Jio Summer Surprise and Dhan Dhana Dhan Offer - Frequently Asked Questions (FAQs). As everyone know that the Jio has bounded their consumer by giving free unlimited Data, calls and SMSs by giving different offers. Here are the list of Jio's offers which was announced by the Jio when the Services started up on 2016. Jio already broke their competitors market by giving services free of cost with complimentary access. Airtel, Vodafone, IDEA, BSNL are trying to get back their customer by giving a very attractive offer at low price. But As you know that Free word is better than Low Price. Behind from their war, Customers are very happy to enjoy Great Services with very affordable price. Vodafone is giving Free Unlimited 56 GB 4G Data, 1000 Mins V2V, and 600 V2O offer for 2 months at under Rs 350. Also, Airtel, BSNL and IDEA is giving likewise offer as Vodafone. 1. How to Activate Jio Summer Surprise Offer? 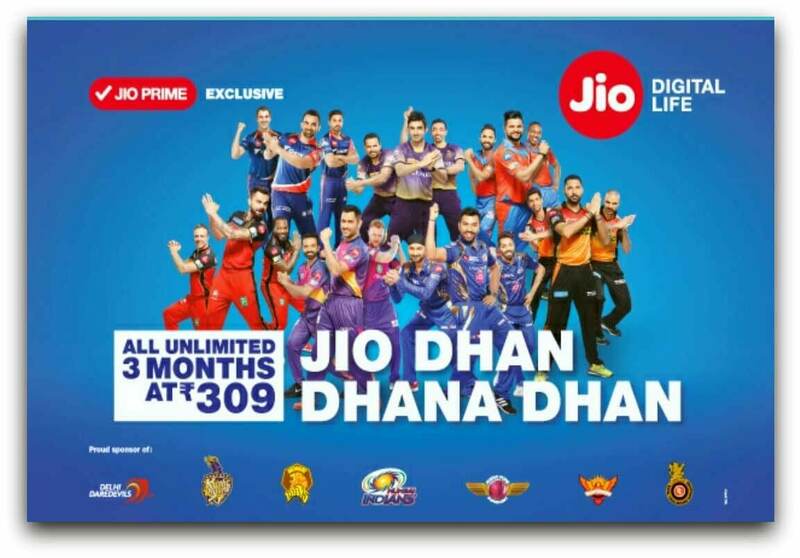 Jio Summer Surprise offer already ended and Jio also announced its new offer "Jio Dhan Dhana Dhan". If you want to activate this offer then you can Download and Install MyJio App, recharge with 308 to continue unlimited access for 3 months. 2. Is that necessary to activate Jio Prime to activate Jio Dhan Dhana Dhan offer? No, If you want to just recharge with 308 then you can enjoy 3 months of complimentary access too. But, if you will become the jio prime member then you will get more beneficial and attractive offers in future. 3. How to enroll to become Jio Prime Member? If you want to activate Jio prime member then click below the article. All the procedures are explained in it. 4. How to check I'm prime member or not? Open MyJio App and look for My Plans tab by tapping top left corner of menubar, you will see at MyPlan section, are you prime member or not. 5. How to check My number is activated Summer Surprise Offer or Not? When you will open MyJio app, then you will see the banner of Jio Summer Surprise offer. Open MyPlan Tab, You will see the presently Activated offers on you Jio Number. You can just recharge with Rs 309 from any recognized online payment app(Paytm, Freecharge, mobikwik). They have cashback offers when you will activate this offer. 7. Is Jio Happy Hours Pack activated with Jio Summer Surprise Offer or Dhan Dhana Dhan Offer? No, Jio stopped this offer from their new offers. Still, some users also getting 2 - 5 AM unlimited data but it's officially ended this offer. There are so many users, who's looking to bypass Jio's 1GB 4G Daily Limit. there are so many unofficial apps are availed on the Internet but they are concerned with your phone's privacy. You may suffer privacy issues if you will download and install those app. Warning: Do not download or Install any Jio's Unofficial Apps from the Internet.